KETT's all-purpose 16 gauge straight handle power shear cuts up to 16 gauge mild steel, cleanly and easily, without burring or buckling the material. 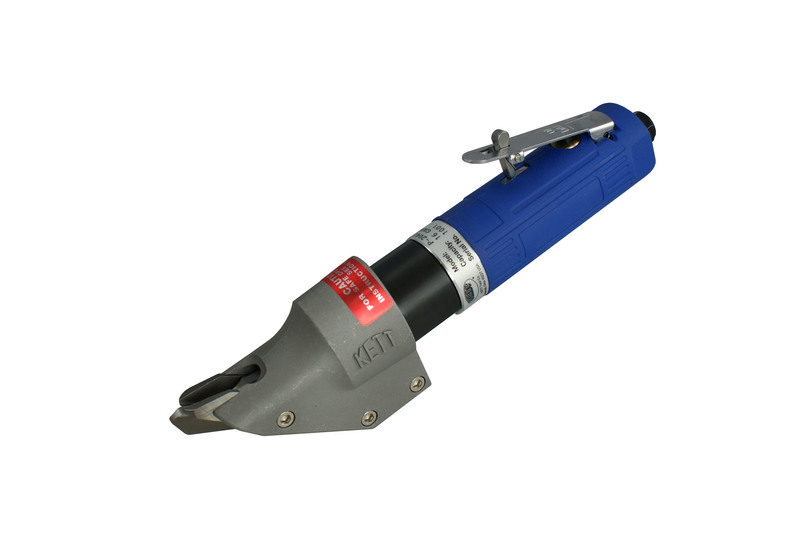 Designed for ease and durability, this lightweight pneumatic shear fills the gap between KETT's light-gauge and heavy-gauge power shear lines. 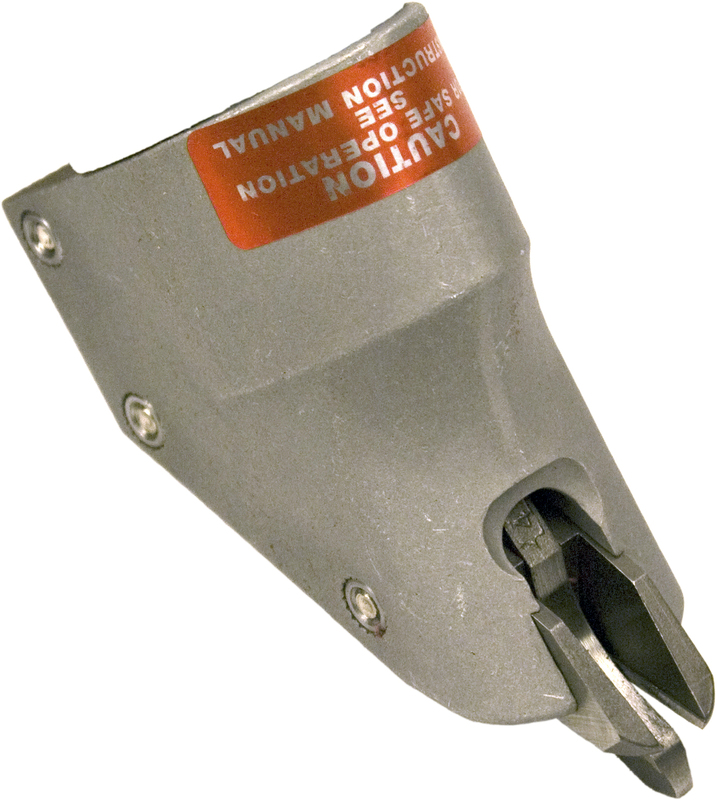 The cast aluminum shear housing is now equipped with close-clearance, heavy-duty cutting blades that are essential for handling thin sheet. Thus, the P-2042 is more than capable of shearing through light shim stock and up to 16-gauge steel with the same smooth cutting action. The P-2042 features the Kett 2500 RPM pneumatic power unit designed for maximum efficiency at 90 PSI air pressure. 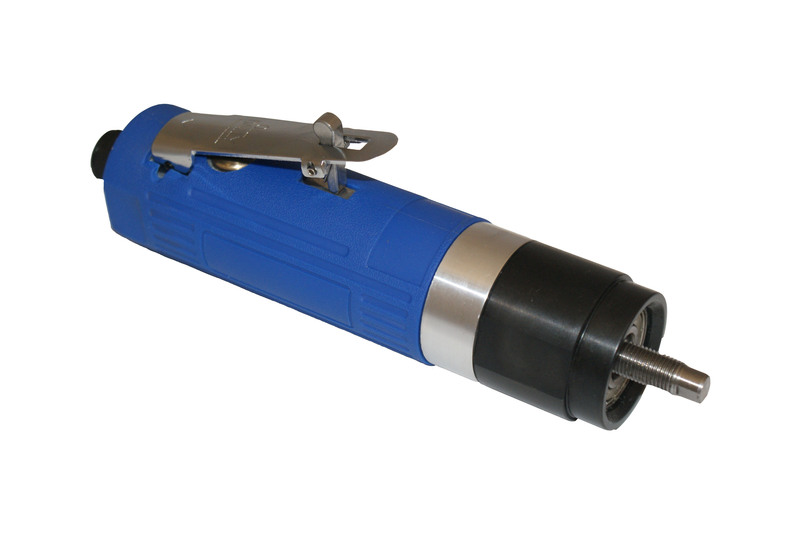 Able to quickly cut through sheet metal, spiral pipe, metal studs and metal doors, and weighing less than 4 pounds, this is truly a portable hand tool that's ideal for fast work in the shop or on the job.